Seventeen years old, Kaia Gerber is on the footprints of the 90’s model Cindy Crawford which makes a total sense considering that’s her mom. She has an accurate sense of fashion and style which has attracted an enormous number of followers across the world. She even represents a beauty line, Yves Saint Laurent. She is a clear fashion icon to follow. Let’s take a look at her little tattoos. 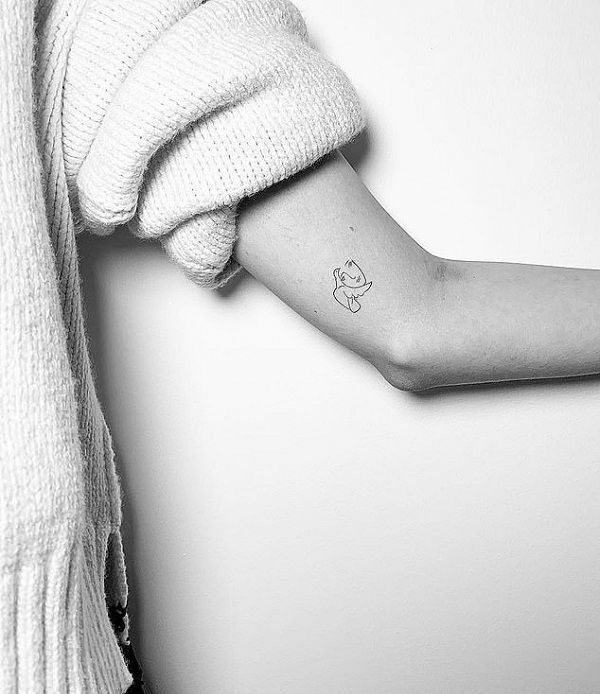 Meaning: Kaia has got her inner side of left upper arm inked with the Jordan. Jordan is her middle name. The ink is in beautiful cursive handwriting. She wrote, “just coming on here to say I don’t think enough people talk about the weather these days” on her Instagram post, revealing her new tattoo. This tattoo is inked by Tattoo Artist, Rafael Valdez, on October 2018, who himself confirmed that she has gotten inked. This is her first tattoo. 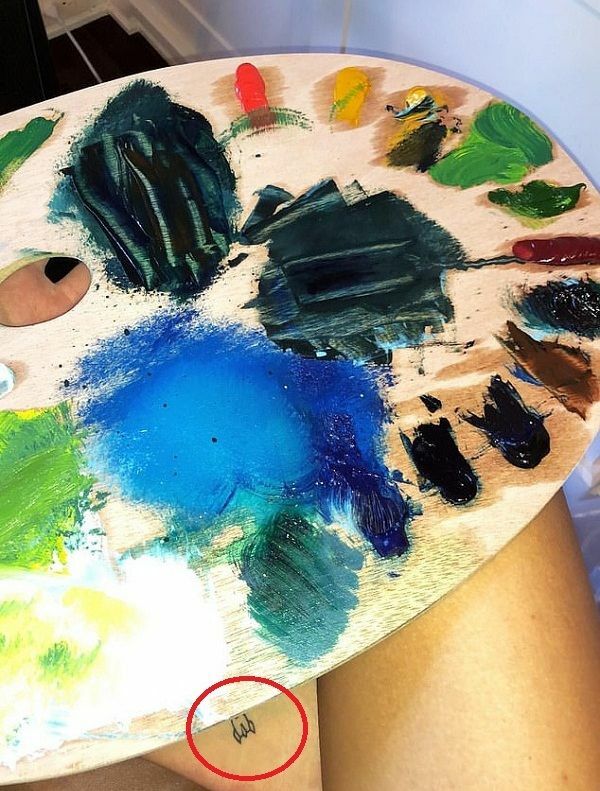 Meaning: Kaia has got her right upper thigh inked with some undefined tattoo which looks like the word Dad or Dab on the first look. It also looks like the bottom of the rocket ship on the closer look. She herself had not yet revealed the meaning behind this tattoo. Meaning: Gerber has inked a ‘lady with a bird’ tattoo on her left elbow. The ink is faint and delicate enough to miss. This tattoo was inked by Tattoo Artist, JonBoy. 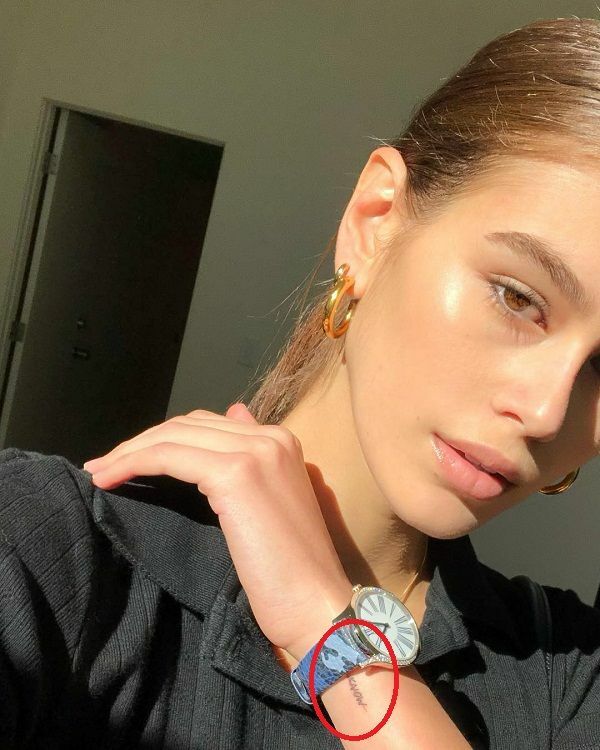 Meaning: Kaia again got a miniature tattoo on her left wrist. The tattoo is somewhat unclear, but it may be a little sentence which says, “I know” with a red line over it. Meaning: Gerber has got her left ribcage inked with an ornate like design tattoo. She showed this tattoo on her Instagram and twitter post while sunbathing. She captioned this picture as “the holidays will do that to you.” The tattoo is too subtle and elegant to notice.